Vancouver B.C. November 2, 2017: TNR Gold Corp. (TSX-V: TNR) (“TNR” or the “Company”) advises that McEwen Mining Inc. (NYSE:MUX, TSX:MUX) (“McEwen Mining”) filed a preliminary economic assessment (“PEA”) on its 100%-owned Los Azules Copper Project location San Juan Province, Argentina and has issued a news release dated October 17, 2017 in relation to the PEA. The technical report, which includes the results of the preliminary economic analysis (“PEA”), is available on the McEwen Mining website and under the profile of McEwen Mining on SEDAR at www.sedar.com. The Company holds a 0.36% royalty on the net smelter return (“NSR”) of the entire Los Azules project. TNR summarized the PEA results in a news release issued on October 10, 2017. The Los Azules PEA study used commodity price assumptions of $3.00/lb copper, $1,300/oz gold, and $17/oz silver, resulting in an undiscounted net smelter return, over the life of the mining project, of $35.2 billion and $10.6 billion, using an 8% discount rate. 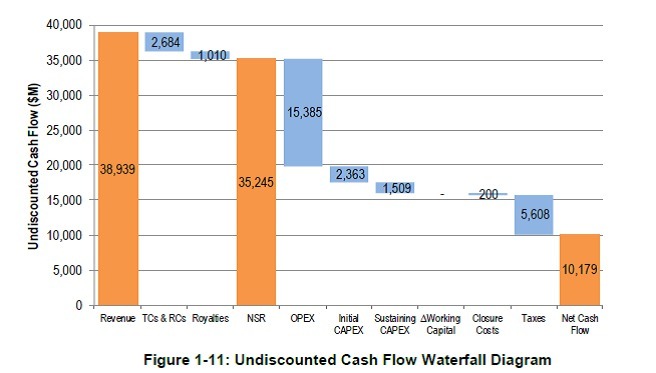 Figure 1-11 from the PEA shows the undiscounted cash flow as a waterfall diagram. 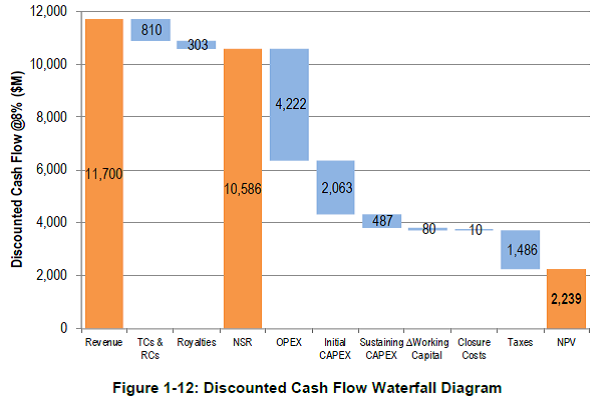 Figure 1-12, also from the PEA shows a waterfall diagram for the discounted cash flow. The PEA reported and documented by McEwen Mining is preliminary in nature, it includes inferred mineral resources that are considered too geologically speculative to have the economic considerations applied to them that would enable them to be categorized as mineral reserves, and there is no certainty that the preliminary economic assessment will be realized. Mineral resources, including those categorized as “measured and indicated” as well as “inferred” are not mineral reserves and the economic viability of these mineral resources have not been demonstrated by this economic analysis. McEwen Mining’s press releases and website material appear to be prepared by Qualified Persons and the procedures, methodology and key assumptions disclosed by McEwen Mining are those adopted and consistently applied in the mining industry, but no Qualified Person engaged by TNR has done sufficient work to analyze, interpret, classify or verify McEwen Mining’s information, nor to determine the current mineral reserve or resource or any other information referred to in their press releases. Accordingly, the reader is cautioned in placing any reliance on these disclosures. Jonathan Findlay, P.Geo, Geological Consultant of the Company and a “Qualified Person” for the purposes of National Instrument 43-101 – Standards of Disclosure for Mineral Projects (“NI 43-101”), has reviewed and approved the scientific and technical information contained in this news release. TNR Gold Corp. is working to become an energy metals royalty company. Over the past twenty-two years, TNR, through its lead generator business model, has been successful in generating high quality exploration projects around the globe. With the Company’s expertise, resources and industry network, it identified the potential of the Los Azules copper project in Argentina and now holds a 0.36% NSR royalty on the prospect. TNR is also a major shareholder of International Lithium Corp. (“ILC”), with current holdings of approximately 11% of the outstanding shares of ILC. ILC holds interests in lithium projects in Argentina, Ireland and Canada. 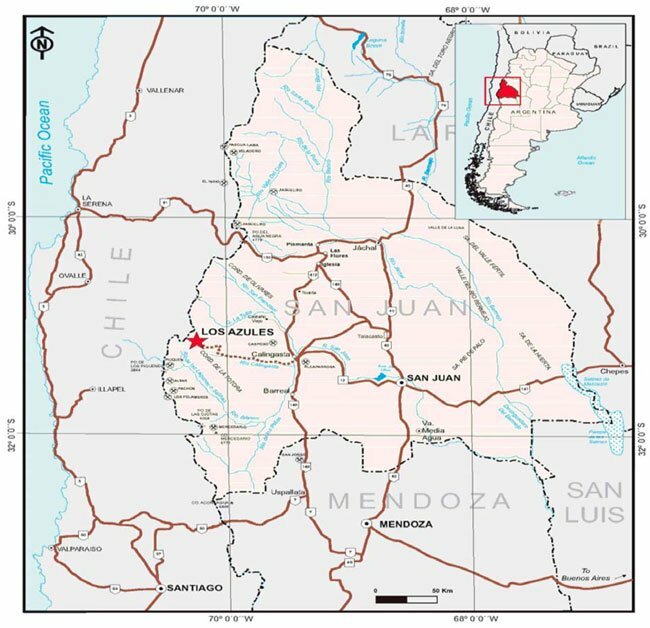 TNR retains a 1.8% NSR royalty on the Mariana Lithium property in Argentina. ILC maintains a right to repurchase 1.0% of the NSR royalty on the Mariana Lithium property of which 0.9% relates to the Company’s NSR interest. The Company would receive $900,000 on execution of the repurchase. The project is currently being advanced in a joint venture between ILC and Ganfeng Lithium International Co. Ltd.
At its core, TNR provides significant exposure to gold, copper and lithium through its holdings in Alaska (the Shotgun gold porphyry project) and Argentina, and is committed to continued generation of in-demand projects, while diversifying its markets and building shareholder value.